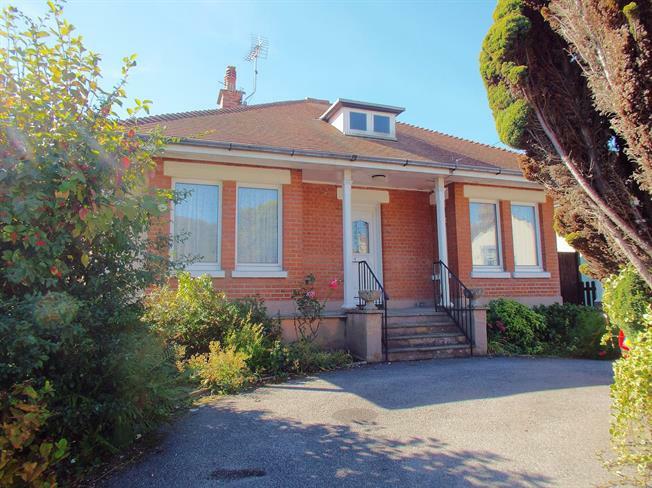 2 Bedroom Detached Bungalow For Sale in Dover for Guide Price £300,000. Guide Price: 300,000 - 325,000 Chain Free! Whether a downsizing couple, solo-buyer or just looking for a project, this bungalow promises to fulfil the majority of your needs. 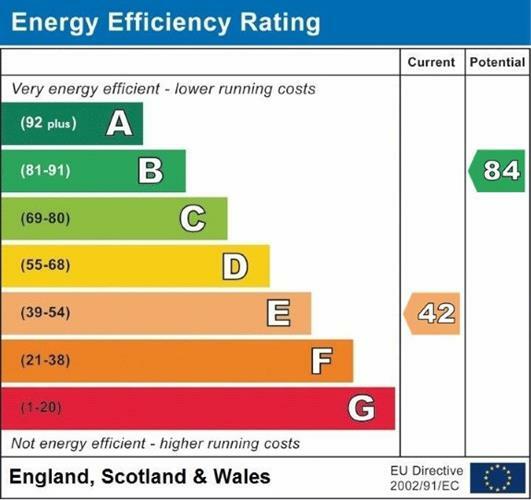 The bedrooms, both to the front of the property, benefit from box-bay windows whilst the bathroom has a shower-over-bath, toilet and sink. The spacious lounge/diner overlooks the garden and leads into the conservatory whilst the kitchen has an integrated single oven and induction hob. The real jewel in the crown is the garden; with both landscaped and lawned areas and established plant borders, it is a beautiful place to enjoy the sun. UPVC double glazed front door. Radiator, carpeted flooring. Double glazed uPVC window facing the rear overlooking the garden. Radiator and electric fire, carpeted flooring, chimney breast. Double glazed uPVC side door. Double aspect double glazed uPVC windows facing the rear and side. Radiator, vinyl flooring. Fitted wall and base units, stainless steel sink, integrated single electric oven, integrated induction hob, space for fridge/freezer. Double bedroom; double glazed uPVC box bay window facing the front. Radiator, carpeted flooring, a built-in wardrobe, chimney breast. Single bedroom; double glazed uPVC box bay window facing the front. Radiator, carpeted flooring. Double glazed uPVC window with obscure glass facing the side. Radiator, carpeted flooring, built-in storage cupboard and boiler. Standard WC, panelled bath, shower over bath, wash hand basin. Double Glazed uPVC double door opening onto the garden. Triple aspect double glazed uPVC windows facing the rear overlooking the garden. Carpeted flooring.